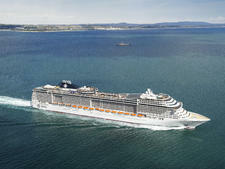 Launched in 2008, 92,600-ton, 3,000-passenger MSC Poesia is the third of Italy-based MSC Cruises' four Musica-class vessels. Tastefully exuberant decor -- brass handrails on the staircases, marble countertops at reception, a waterfall in the atrium, twinkling lights on the ceiling in the theater -- means the ship is elegant but not boring. 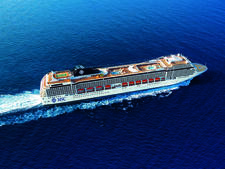 Its lounges (particularly the Zebra Bar, Il Grappolo d'Oro wine bar and Hitchcock Lounge) are charming, and the well-appointed, color-splashed cabins make it feel more like an upscale hotel than a cruise ship. 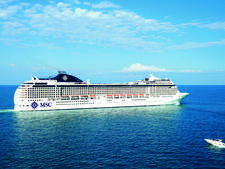 Of course, you'll still find the standard cruise-ship offerings like pools, nightly entertainment and kids' activities. 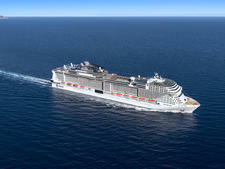 While the ship is lovely, what really sets it apart from other mainstream mega-ships is this: MSC is an unabashedly European line, and the approach to service, onboard vibe and passenger habits reflect that. 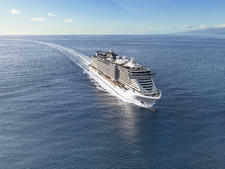 North Americans shouldn't expect the usual, proactive service which many cruisers are accustomed to finding on Carnival, NCL and Royal Caribbean. While everyone, from cabin stewards to dining room waiters, is helpful and friendly, don't be surprised if you don't learn their names without asking or if you have to specifically request certain U.S. staples like in-cabin ice. You also shouldn't expect to be coddled; although all staff members we encountered aimed to please, we found that it wasn't the norm for them to anticipate our every need. Entertainment, some of which missed its mark, has to transcend various language barriers, so you won't find comedians or other similar performers. However, acrobats and jugglers achieve the balance flawlessly, and our jaws dropped more than once at their talents. In general, the European crowd seems to take life at a much more relaxed pace. In that vein, dinners are eaten bit more leisurely, and portions are smaller than Americans might be used to, but that just means you'll leave feeling pleasantly full, rather than disgustingly stuffed. Plus, you can always ask for seconds, and the waitstaff will oblige. Another nice touch is that ship staff do their best to seat you with other English-speakers, so you won't have to fumble through meals relying on nods and gestures. 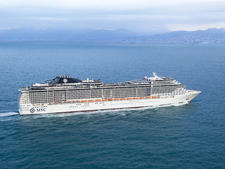 MSC offers excellent rates and deep discounts, but anyone expecting a Carnival-type atmosphere will be disappointed. It seemed the most notable takeaway from our time on Poesia was that people either love it, or they hate it, and we met a lot who fell into each camp. Some weren't happy with the service. Others disliked that the announcements took five times as long, due to the language issue. And still others complained about all menu items that weren't hot dogs and fries. If you're looking for an affordable sailing with an international flare without having to travel too far, this might just be the ship for you. However, it's important to understand what you can expect. 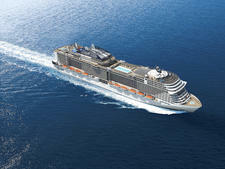 Overall, cruises on Poesia aren't bad; they're just different. 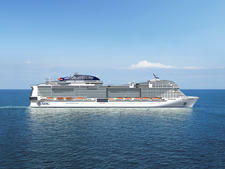 In terms of age, expect mostly passengers in the 40-to-60 range, alongside a decent number of younger couples and an influx of families during the summer season. 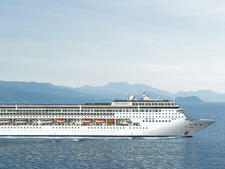 During the summer months, Poesia sails Northern Europe itineraries. 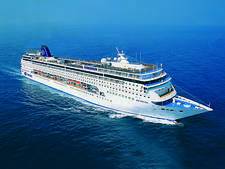 As with the ship's winter South America sailings, the passenger makeup changes from voyage to voyage. There are two formal nights a week, and suits with ties is the norm for men, while women are typically found in cocktail dresses and shimmery eveningwear. Other nights are termed either informal (jackets and trousers for men and informal dresses or pants with blouses for women) or casual (collared shirts and trousers or jeans for men and dresses, pantsuits or sporty outfits for women). The line does note that tank tops, bathing suits, bathrobes and bare feet are never allowed in any indoor restaurants or buffet areas, and no shorts are allowed in the dining room at dinnertime. 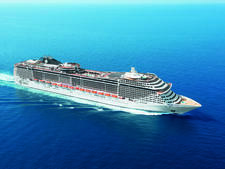 MSC automatically charges $12 per day to each adult passenger's shipboard account for Caribbean cruises. 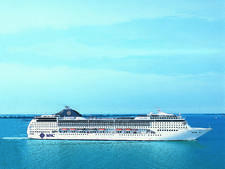 For Europe cruises of eight days or less, the charge is 7 euros per person, per day, and for cruises of more than eight days, the charge is 6 euros per person, per day. The amount is shared among the maitre d' and his assistants, waiters and busboys, buffet staff, cabin stewards, room service attendants and bellboys. 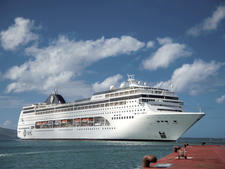 The automatic charge is reduced to $6 per day for children sharing their cabin with two adults on Caribbean itineraries. (Passengers must be at least 21 years old to have their own cabins.) 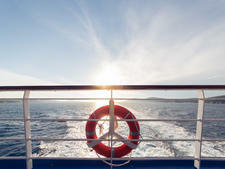 On Europe cruises, children younger than 14 are not expected to pay a service charge, while 14- to 17-year-olds are charged 50 percent of the adult amount. 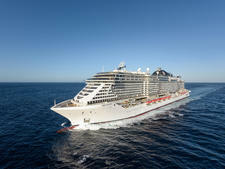 You can change the amount of any automatic gratuities at the accounting desk on Deck 5. An automatic tip of 15 percent is added to bar bills. 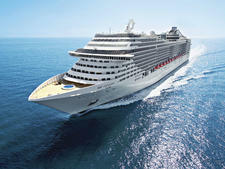 Currency onboard is the euro when the ship sails Europe itineraries. In the Caribbean, it's U.S. dollars. 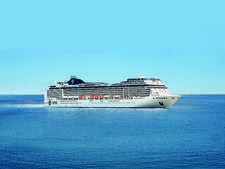 Take note that, on our sailing, transactions were routed through a French bank (for security purposes, we were told), so be sure to tell your credit card company to avoid any holds on your account while you're away. An ATM is available onboard, should you need cash, but it levies a hefty surcharge.